FRIARS POINT, Miss. — One promising young teacher decided she wanted to start a family outside of the Mississippi Delta. A second teacher left abruptly in the middle of the first semester with little explanation. A third took one spin through town before the school year started and never came back. Schools across the country struggle to attract and keep good teachers. In this fading Mississippi Delta town of 1,200, a place with a deep reservoir of history and a slender chance at an economic future, it’s an epic quest. Some residents have even allegedly set their own homes on fire—hoping the insurance money will enable them to start over elsewhere. “Experienced teachers who don’t live here say they have very little reason to come,” said Pauline Rhodes, the superintendent of Coahoma County School District, which encompasses Friars Point Elementary, a school of about 150 students (down from 200 two years ago) and the town’s only elementary school. “If you are a really good applicant, you can select what district you go to.” One hundred percent of the school’s students come from families living below the poverty level; 97 percent are African-American. Although the school, which runs from kindergarten through sixth grade, has made some academic gains, in 2011-12 less than half of the students scored proficient on the state’s standardized tests, according to figures from the Mississippi Department of Education. Rural schools are more common in America than city or suburban ones: During the 2011-12 school year, the U.S. Department of Education reported 33,000 schools in rural locations, 28,000 in suburbs, and 27,000 in cities. 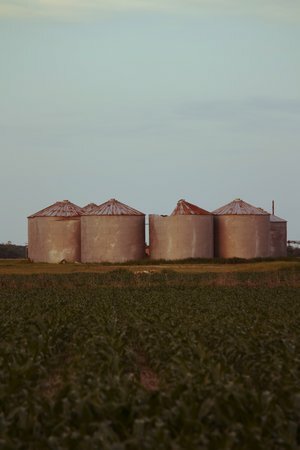 Yet the current approach to school reform in America—which centers on getting the best teacher in front of each classroom, and then holding them accountable for student results―often neglects rural schools’ unique needs. It is rooted in corporate principles of competition and change: If a teacher fails to get the job done, replace him; if a school fails to meet its bottom line (defined by test scores), close it. But as the experience in Friars Point shows, this strategy, designed largely with struggling urban school districts in mind, breaks down in impoverished small towns. These are places with little civic or economic infrastructure, a shortage of educated professionals, and little — if anything — to attract newcomers. There’s no qualified teacher available to take the place of a colleague who does not make the cut, no charter school operator poised to swoop in and take the reins of a school defined as failing, and little left to keep the community alive if the school closes outright. “Our community would just wither up and die,” said Gloria Partee, the only Friars Point Elementary teacher who still lives in town. In a typical year, the school has to replace at least a third of its teachers; some years, it’s as many as half, said Sherry Coleman, the school’s hard-working principal. Every so often, a tourist makes the trek to Friars Point, nestled on fertile ground alongside the Mississippi River, hoping to see the hometown of country music star Conway Twitty and the store where Muddy Waters reportedly watched Robert Johnson perform his classic “Traveling Riverside Blues.” But instead of a foray into America’s musical and cultural history, visitors find themselves confronted with a stark look at modern American poverty. Apart from a single row of stately homes along the river levee—home to the town’s few remaining white residents—most of Friars Point’s residents live in government-subsidized apartment buildings clustered around the school, trailers, or run-down shacks. Many blocks have lost homes to fires; townspeople report that some are self-inflicted “burnouts” when financially destitute residents burn their own homes for whatever insurance money they can get. Steve James, a veteran firefighter with the Coahoma County fire department, said burnouts have been a problem throughout the Delta ever since the start of the recession in 2007. “The people may owe more than the house is worth,” James says. But in at least some cases, gang members have been known to burn down houses after the residents depart as part of an initiation rite, he adds. Once a thriving port town and the county seat, Friars Point has been bleeding businesses and residents for decades. Some move to Clarksdale, the closest town of any size, with 18,000 residents. Others seek jobs and new opportunities in nearby Tunica, home to a bustling casino. Several elderly residents die each year, giving relatives one less reason to stick around. Friars Point still has the lone elementary school, a few churches, a city hall, a post office, a small general store, a museum that opens only sporadically, a nightclub called Show T Boat where a man was shot to death in 2011, and a bank that residents fought to keep. The town no longer has a doctor or health clinic, a drug store, a sit-down restaurant, a recreational center, a library (one opened and closed within a year), much structured after-school programming for kids, or any businesses to speak of. Kids travel 15 miles to Clarksdale for junior and senior high school. “Every year people try to get things for the town, but nothing ever comes,” said Carltonez Done, a 29-year-old native who has tried—with limited success—to organize youth sports programs in Friars Point. Done briefly led a Boys & Girls Club program in town, until the organization pulled out because of a lack of funding. In at least two cases, departing businesses have donated buildings to Friars Point because they couldn’t find buyers. Those spaces remain vacant. 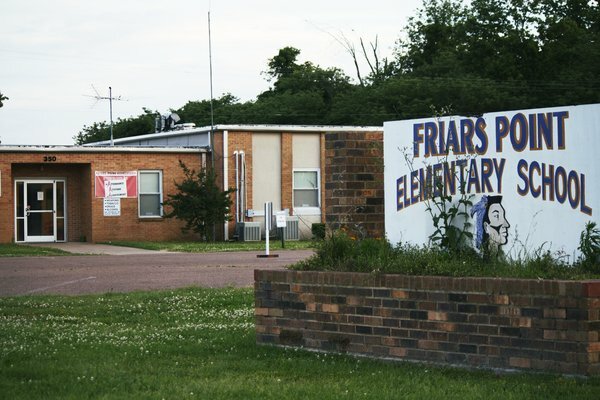 With all the gaping needs, Friars Point Elementary School takes on a unique importance in the community. It is the only public place in town where parents can be sure their children will be safe after school (several worry the basketball court in the town park is infested with drug dealers). It is also the only place where children can get regular health care (through mobile vans from Clarksdale and a part-time school nurse). And with few large, habitable buildings left in town, it is often the only place where the town can gather to mourn its dead. But the school’s difficulty attracting and keeping good teachers jeopardizes its future. This spring, Coleman had to fill at least five of 13 teaching positions. “It seems like the quality of the teaching staff is not getting better,” said Rhodes. Until a few years ago, the Coahoma County district was able to employ teachers who weren’t fully licensed, but excelled in the classroom nonetheless, Rhodes said. When the state said it would stop issuing one-year provisional licenses, the district’s options narrowed. Fully licensed teachers who apply to Coahoma County from other Mississippi districts often have red flags on their resumes, she said. 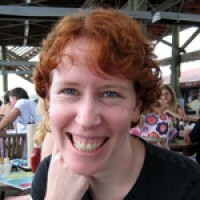 One applicant, for instance, had earned her teaching license but worked for seven years as a substitute in Oxford, Miss. without ever getting hired — a sign that something was not quite right. “Ninety-percent of the ones with red flags end up to be marginal teachers,” she said. Rhodes cites Friars Point’s reputation as a tough community as one disincentive for prospective teachers: In addition to an allegedly thriving drug trade, Friars Point has longstanding gang rivalries with nearby Jonestown. For such a small community, it has posted a high number of violent crimes in recent years, including the night club shooting, the stabbing of a man in a domestic dispute, and the beating death of an unarmed man by five others outside the apartments near the school. Police Chief Tracy Vance said there have been five murders in the last five years, giving the town a higher per-capita homicide rate than any large American city. Such violence makes the community unattractive not only to newcomers, but to some long-time residents with the means to live elsewhere. Alan May, a 55-year-old from Boston, moved to Clarksdale last summer to work at Friars Point Elementary through Teach For America (unlike May, most of the organization’s recruits are fresh out of college). He said teaching at the school reminds him of working on an island. Clarksdale is only 13 miles away, but many of the town’s low-income families lack cars. After working in the community for eight months, May still had little idea where most of his students go after school (he speculates that most play video games at home) or where their parents and grandparents find work. He plans to finish his two-year Teach For America commitment at the school, but says he might then look for a position in a bigger town where he can be closer to his aging mother, who lives in Atlanta. “In Friars Point, you’re just sort of out here,” he says. Despite all the staff turnover and fear over the town’s future, every year the elementary school graduates some students who go on to thrive at the Coahoma County Jr./Sr. High School; overall, however, the high school has one of the lower graduation rates in the state, at about 54 percent. Still, a coterie of lifelong residents, like Done, remain committed to Friars Point. And there’s continued hope that a critical mass of teachers will make a long-term commitment to the school. “I have no intention of leaving any time soon,” said Amy Mackay, a kindergarten teacher in her first year working at the elementary school. Mackay, who says she “doesn’t know much about what the (Friars Point) community is like,” lives 18 miles away in Helena, Ark. 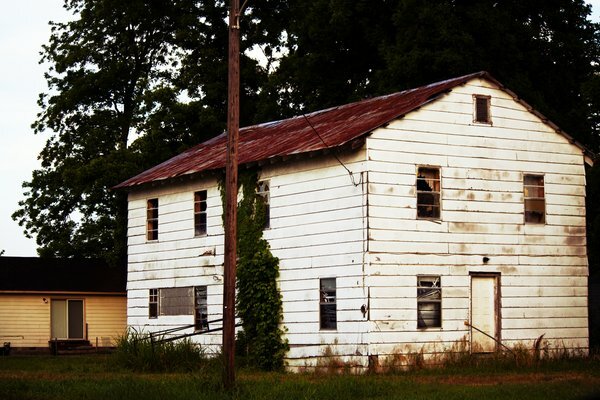 Apart from Partee, none of the teachers live in Friars Point, where there’s no large grocery store, restaurants, nightlife apart from Show T Boat, and where the available real estate tends to fall into one of two extremes: run-down shack or grand old house along the levee. Educators have wildly divergent views on how rural communities should address their staffing conundrum. Johnson said rural principals and superintendents should build relationships with colleges and teacher training programs and bring strong candidates in for visits. It’s just as important to sell the recruits on the community as the school during these visits, he said, noting that administrators could take young teachers to the Yazoo Pass, a popular coffee shop that opened up recently in Clarksdale. Seeing a thriving hang out spot shows they can have “somewhat of a social life,” he said. Johnson added that he, and others, also use the low cost of living as a draw. Howley said the only sustainable solution in the long term is for a town like Friars Point to grow its own by helping aides become teachers, for instance. He cites Native American tribal colleges, famous for their self-determination, as a model for poor, rural communities to emulate. Rhodes said the district has tried both strategies—recruiting widely and growing its own. Neither has worked. In Friars Point, the district encouraged promising assistants to get certified as teachers, promising to reimburse tuition costs. But over the course of several years, only one followed through and managed to pass the Praxis exams required to complete the certification process. Teach For America has supplied the school with several motivated, talented instructors. But most leave after their two-year commitment ends—if they make it that long. “By the time you start to see the benefits, they are gone,” said Rhodes. Friars Point Elementary tried to keep one particularly determined and successful TFA teacher by promoting her to a master teaching position. She left after a year in the new role, saying she wanted to start a family elsewhere. Rhodes said the district has talked to representatives from a service that—for a fee—recruits teachers from foreign countries, even though the junior high school had to lay off one Indian teacher because of communication barriers. The teacher did not come through a service and wanted to make the move on her own. But she struggled to understand her students, misinterpreting curses as jokes, Rhodes said. The district has also started a modest financial incentive program that provides $500 to high school teachers whose students score well on standardized tests. While a vibrant, stable school might make the most difference in the long term, locals say there are smaller, simpler actions that could offer new hope to Friars Point children in the meantime—like finding something for them to do after school. Williams tells her son to avoid the park where kids play pickup basketball games because of its reputation as a hangout spot for drug dealers and gang members. But it can be hard to stay away when there’s nothing else to do in town. Some afternoons, Demarious likes to at least bike by to see what’s going on. One spring evening, a dozen or so children, some as young as three and four, bounced balls and shot hoops while a small group of older men looked on from the sidelines. The park used to have a bathroom and water fountain until the town tore them down. Mold overtook them and no one had the money for cleaning and upkeep, said Done. After that, a man who lived across the street volunteered to let kids use his bathroom and stock up on water. But Done said the man’s house burned down about a year ago, in yet another mysterious fire, and he then left town. The lot remains empty. On this evening, the kids appear oblivious to all that surrounds them. As the day fades and despite the customary shortage of basketballs, the children play on, determined to keep the game going for as long as they can.